It was the cleanest apartment I have ever stayed in. I stayed for 5 days, I was in the city for a conference. It’s a tall modern building, the 16th floor is for guests (only 6 rooms so very quiet). Welcomed at the front desk by the very polite and helpful receptionist. She gave me some good tips about the area and all the necessary info about the room. The owner also came by to say hi at the reception. Room was spotless, big, functional, very spacious and with a wonderful view. Lots of space for clothes, nice little kitchen with everything you may need. Kettle and coffee machine included. They kindly provide a selection of tea bags and coffee capsules. Large clean and functional bathroom. Location is perfect if you need to be around the hospital area. Otherwise it’s 15 min walking from train/bus station (city centre) or 2 min to tram stop. 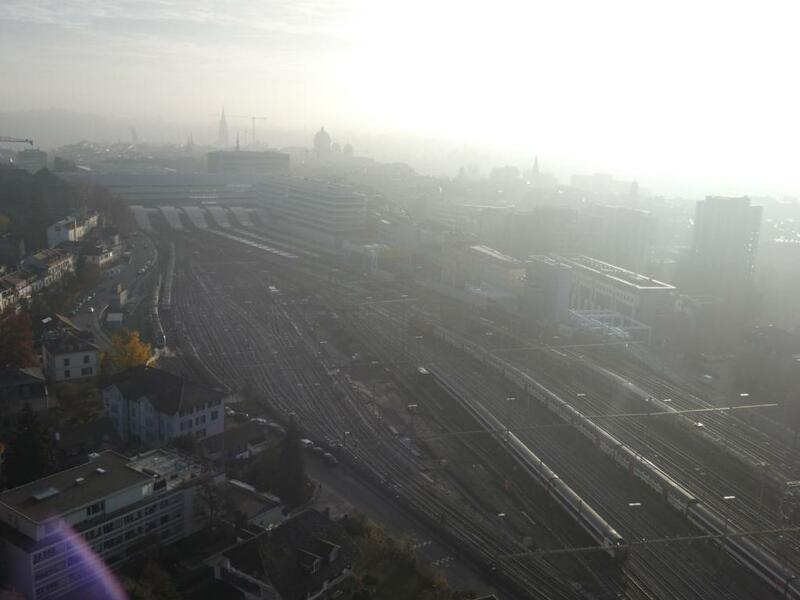 I could see the train station, but there was no noise at night at all. There is even a laundry room on the floor (washing machine plus dryer) if needed. The apartment was spacious. It had a living room with couches, A 32" TV set, and a bookshelf. The kitchen was well equipped except no microwave oven. There was a four-person dining table. The bedroom was roomy for two, with a big drawer. The bathroom was quite big with only shower. Overall, the place was clean and tidy. The wifi was good. Note that the lower floors were for seniors. Only Floor 12 (?) 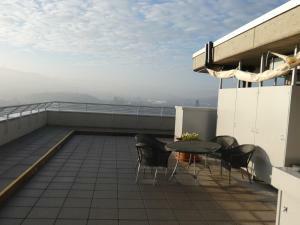 and above were used as serviced apartment. 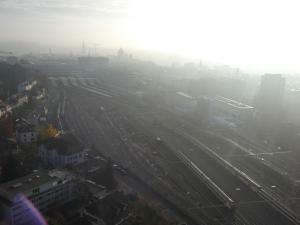 Since it is only tall building in the area, one gets a very nice view of Bern. It is a short walk from the train station. The staff was very friendly. The breakfast was good, one must place the order one afternoon in advance. They served coffee, tea, chocolate, orange juice, milk, and the like; three slices of bread, or croissants, meat with cheese plate, butter, jams, and hardboiled egg. I also asked for a fruit every morning. Die Lage ist super, ganz nah am Bahnhof, Zugang ist unkompliziert zu jeder Tages- und Nachtzeit möglich. Sehr ruhig, phänomenaler Ausblick, man kann vom Boden essen- so sauber war alles. Sehr gepflegte Einrichtung! Küchenutensilien neuwertig. Nächste Geschäftsreise ist bereits geplant u es wurde auf Nachfrage auch eine zeitlich ungewöhnliche Konstellation möglich gemacht! Grossflächiges Zimmer im 16. Geschoss, mit schöner Aussicht auf die Stadt Bern! Zimmerausstattung mit Kaffee-Kapselmaschine und reichhaltiger Auswahl an Nespresso‘s, Küche, mit Glaskeramik-Kochherd, Backofen, Kühlschrank - Pfannen und Geschirr inklusive! LCD-TV. Bequemes Bett! Grosses Badezimmer mit Dusche/WC. Informationen bezüglich Schlüssel abholen und Frühstückszeiten unmittelbar nach der Buchung erhalten. Una vista mozzafiato e` sicuramente la sorpresa di questo posto. Camere agli ultimi piani con finestre molto ampie e vista su tutta la citta` e le montagne retrostanti. La camera, in realta`, e` un piccolo appartamento, moderno, con bagno e cucina. Ci si muove tranquillamente a piedi per raggiungere tutto il centro. Lock in a great price for Tertianum Résidence – rated 9.5 by recent guests! One of our best sellers in Bern! 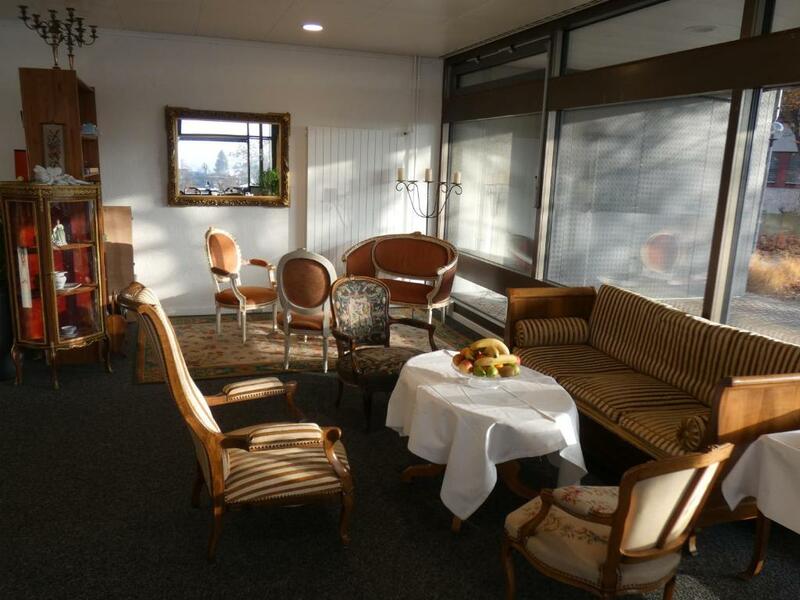 Located in Bern, Tertianum Résidence provides free WiFi, and guests can enjoy a garden and a terrace. All units feature a cable flat-screen TV, a private bathroom with shower and a fully equipped kitchen. There's also a oven, fridge and a coffee machine. 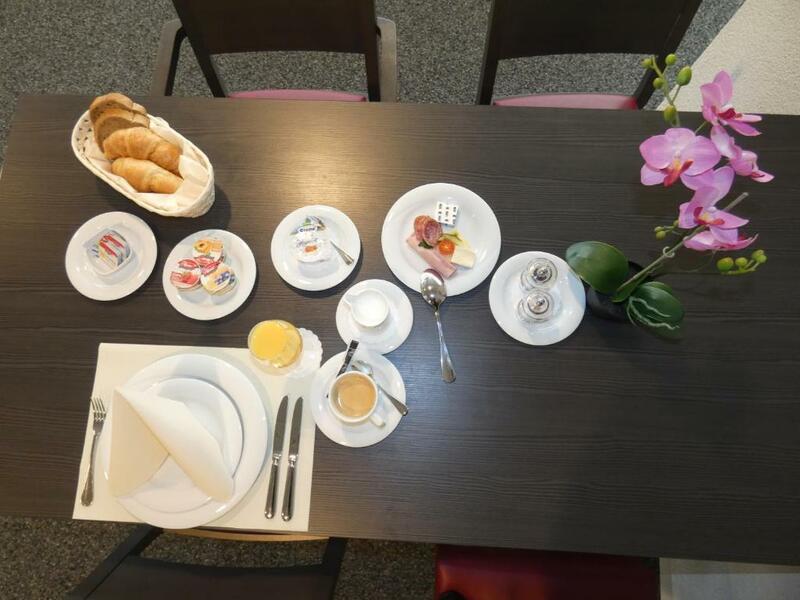 Guests at the apartment can enjoy a continental breakfast. 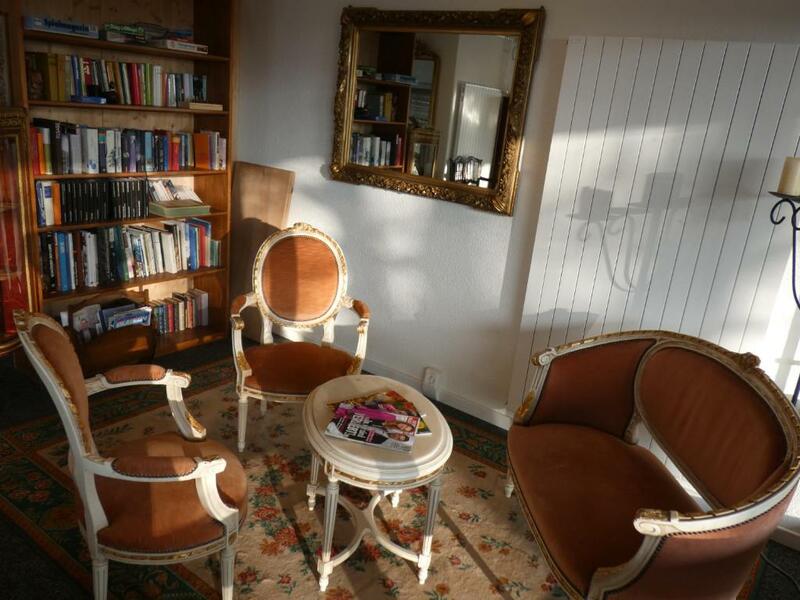 At Tertianum Résidence you'll find a restaurant serving European cuisine. If you would like to discover the area, skiing, cycling and hiking are possible inearby. 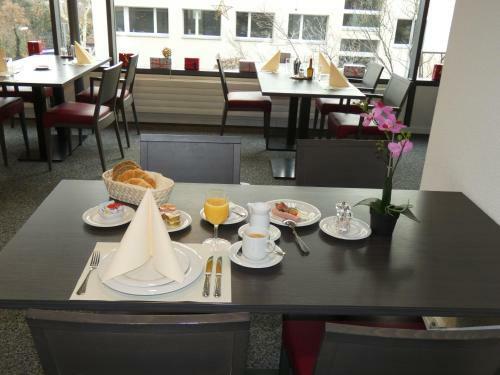 University of Bern is an 11-minute walk from the accommodation, while House of Parliament Bern is 1.3 miles away. Belp Airport is 6 miles from the property. Langgasse-Felsenau is a great choice for travelers interested in museums, friendly locals and culture. This property is also rated for the best value in Bern! Guests are getting more for their money when compared to other properties in this city. When would you like to stay at Tertianum Résidence? Die Tertianum Résidence ist nahe dem historischen Zentrum der Bundeshauptstadt Bern gelegen. Viele historische Sehenswürdigkeiten sind einfach zu Fuss zu erreichen - auch ein Busstopp liegt in unmittelbarer Nähe. Jede zu vermietende Wohnung liegt im 16. Stock und bietet eine atemberaubende Aussicht entweder auf die Stadt, die Alpen oder gegen den Westen/Jura, sofern Sie auf Ihren eigenen Wohnungsbalkonen oder am Tisch bei der Wohnungsküche sitzen. 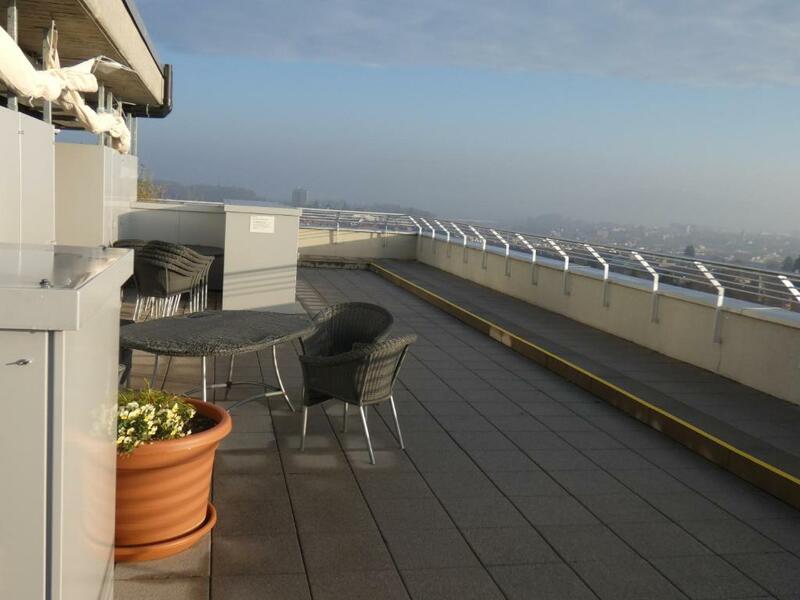 Gäste können ebenso die 360-Grad-Aussicht von unserer Dachterrasse geniessen, was sich mehr als lohnt! Wir heissen Sie herzlich willkommen bei uns. Die Tertianum Résidence bietet Senioren, Mietern und Ihnen, werte Appartement-Gästen, einen tollen Aufenthalt. Unser Personal steht Ihnen sehr gerne zur Verfügung, um Ihnen einen unvergesslichen Aufenthalt zu ermöglichen. Aufgrund der zentralen Lage können wir Ihnen keine eigenen Parkplätze zur Verfügung stellen. Unmittelbar neben unserem Gebäude befindet sich jedoch ein öffentliches Parkhaus zur freien Benutzung. Wir stellen Ihnen, für die Zeit Ihres Aufenthaltes, kostenlose Tickets für die Benutzung des öffentlichen Verkehrs der Stadt Bern zur Verfügung. 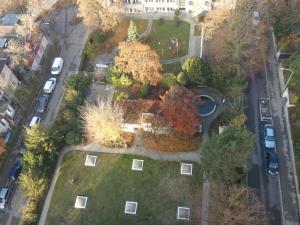 Die grüne Stadt Bern bietet von historischen, mittelalterlichen Gebäuden über diverse Museen bis hin zum "Bärengraben" oder dem Gratis-Freibad "Marzili" einfach alles an. Der Hausberg "Gurten" oder der Tierpark liegen gleich vor Bern und sind tolle Naherholungsgebiete. House Rules Tertianum Résidence takes special requests – add in the next step! Any additional adults are charged CHF 20 per night for extra beds. This property is located on the 16th floor. Please note that the other floors are mainly occupied by a retirement home. Please inform Tertianum Résidence of your expected arrival time in advance. You can use the Special Requests box when booking, or contact the property directly using the contact details in your confirmation. The whole place smelled like a old age home. And it was a old age residences. Even the pillows and matterress smelled. And they don’t do housekeeping, only once a week. No change of towels or cleaning of the room. Nothing to complain about. If I have to suggest an area of improvement I would say that I would change the towels more often. You are given 1 medium, 1 large and 2 hands towels, and these are changed only once a week. Maybe an extra large towel in the cupboard could be useful. I could hear the trains running by (but not noisy). Since the staff leave at 5 pm, sometime it could be a bit inconvenient if you want to talk to them or need their help.